“Rasam Powder” is the main ingredient in the preparation of Rasam, as it adds fragrance and flavor to rasam. 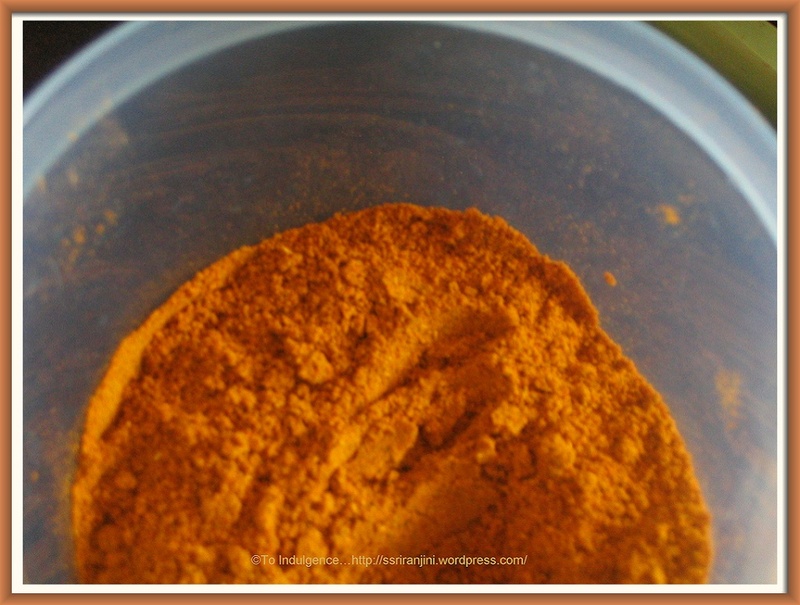 1.Fry the above ingredients except turmeric for 5 to 7 min in microwave oven. 3. Fine grind the ingredients. Fry all the above ingredients separately till u smell the aroma and fine grind the mixture.